Bling doesn't have to mean diamonds. 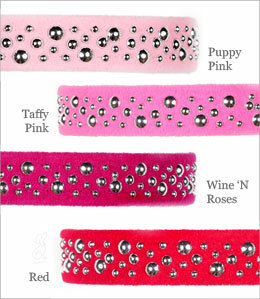 Check out these Susan Lanci Ultrasuede Dog Collars that feature a more "rugged" take on traditional bling. Available from GW Little for $31.99 in a variety of colors and patterns.